2019 Salary Reports - Available Now! 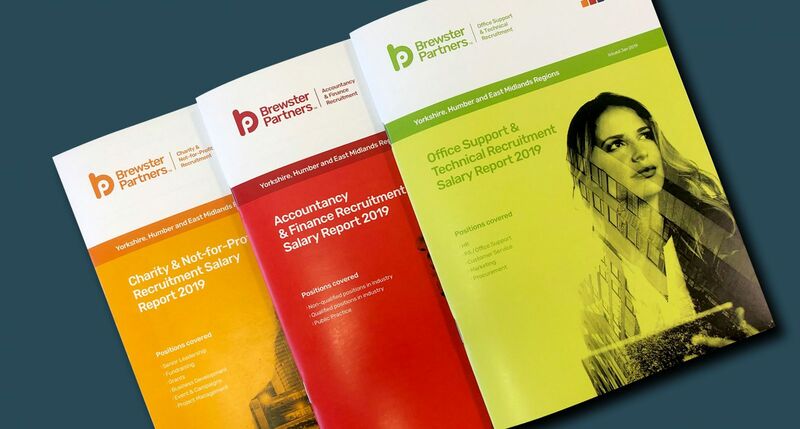 Brewster Partners Recruitment Group are pleased to announce the release of our 2019 Salary Reports, reviewing salaries across across the Yorkshire, Humber and East Midlands regions, in the Accountancy & Finance, Office Support & Technical, and Charity & Not-for-Profit sectors. We have pulled together more data than ever before, utilising our extensive networks, online resources and CRM system, and evaluating our experience of the market over the past year. We’ve also analysed every inch of data we could find and deemed to be relevant from a variety of reports available in the wider market. In doing so, we have accumulated a huge database of statistics that allows us to dig deeper into the real facts and provide real figures that any employer or employee might need to help guide them in 2019. This year, our reports highlight that there has been a significant increase in wage growth, but at noticeably different rates across the sectors. To read more about the trends and challenges that face the above sectors, please click here to access our publications library. Hard copies of the reports are also available - please contact info@brewsterpartners.co.uk for your free copy.